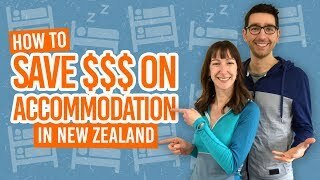 What to do at night in Auckland? Probably the most vibrant place at night in New Zealand is Auckland. That’s unsurprising as it’s New Zealand’s largest city! Whether you’ve got jet lag or you’re just a night owl, you’ll find heaps of things to do in Auckland at night, especially as we’ve put this list of Auckland night activities together just for you! Find things to do at night in Auckland not just in the bustling city centre, but around the whole region. There are Auckland night activities for relaxing, for socialising and even to get your adrenaline fix. (This is New Zealand, after all). So when you’re scratching your head on what to do in Auckland at night, you can’t go wrong with this list! Let’s get the obvious out of the way first! Auckland is one of the best spots in New Zealand for nightlife so take advantage of that before you hit the road to your next destination. There are many pockets of awesome bars and clubs around the city centre and hipster suburbs of Auckland. Why not join a backpacker bar crawl to meet some awesome people from all over the world? Find out more of the nightlife offerings in Auckland right here! Mt Eden is Auckland’s highest natural vantage point, so naturally a great place to watch the sunset. From the bottom of Mt Eden it only take 5-10 minutes to walk to the summit where you’ll not only get panoramic views, you’ll also see a deep crater. Alternatively, you can drive to the summit or park at the car park on Puhi Huia Road and walk from there. Location: Walks begin from Clive Road, Glenfell Place, Batger Road, Hillside Crescent, Rautangi Road and Owens Road. Evening kayak trips depart from St Heliers Bay to Auckland’s youngest volcano, Rangitoto Island. From there, it’s an hour climb to the summit of the volcanic island where you can then watch the sun setting over the city all the way to the Waitakere Ranges. Location: Tours depart daily at St Heliers Bay with Auckland Sea Kayaks. City pick-ups are available. Canyoning is pretty darn adventurous during the day, but at night it’s something else! Canyoning involves jumping, abseiling, swimming, hiking, scrambling, sliding and any way that you can mission through a river canyon. 5-hour trips depart from Auckland city to Piha in the Waitakere Ranges which become your natural playground for the evening! Location: Tours are available with AWOL Canyoning. Yes, Auckland has it’s fair share of escape rooms! These puzzle experiences challenge you to escape a room as fast as possible with nothing but a few obscure clues to follow. Tackle it in teams, set your difficulty level, and try to escape before escape room venues close usually around 10pm. Location: Escape rooms are available in the Auckland City Centre, North Shore and at Escape Hunt in Takapuna. Markets are kind of a big deal in New Zealand. Usually, it’s an early morning mission to enjoy fresh produce and street food, but in Auckland there’s an option for the night owl. There are five Auckland Night Markets to choose from usually lasting until 11pm or 12am! Location: Botany Town Centre under Hoyts, Wednesday, 5pm-11pm; Henderson under Kmart, Thursday, 5.30pm-11pm; Papatoetoe under KMart, Friday, 5.30pm-12am; Pakuranga under The Warehouse, Saturday, 5.30pm-12am; and Glenfield Mall under Countdown, Sunday. 5.30-11pm. On the subject of food, Auckland has many spectacular restaurants to treat yourself to. 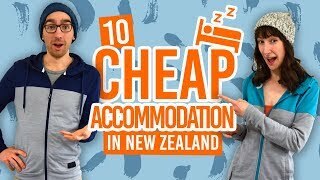 The choice is quite overwhelming, but because most of us are travelling on a budget, we put together this list of Cheap Eats in Auckland. Sure, it’s great to see the city of Auckland from 220m in the Southern Hemisphere’s tallest building’s observation deck during the day. However, nighttime gives a whole new perspective of the city with vibrant city lights. Get your Sky Tower admission ticket here. Location: That unmissable building on Victoria Street West, Auckland City. Night paintball is a thing! Getting hit by paint pellets hurts no less in the dark though. If you have a large group, then get together and shoot each other for three hours straight. Escape the city hustle and bustle by experiencing a classic Kiwi camping trip. There are many fantastic campsites in the Auckland region. Among our favourites are Motutapu Island, Sullivan’s Bay Campground on the Matakana Coast, and Te Haruhi Bay Campground on the Hibiscus Coast. See here for a full list of Auckland campsites.